1. Loose fitting gingham dress 2. Retro style maxi chiffon dress 3. Elegant open beam chiffon dress 4. Office lady style dress 5. Luxury embellished backless dress 6. Slopin shoulder sleeveless color block dress. 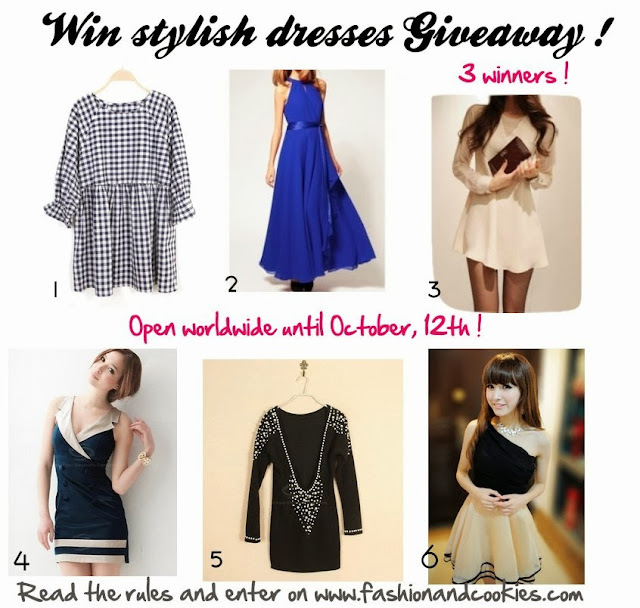 The winners will be selected randomly with Rafflecopter and announced on the blog, and the brand will send one of these dresses directly to them. 3) Leave a comment about Sammydress website below this post, something you noticed about their website or anything about their products. I didn't know Sammydress before, but I see a lot a fashion clothes and very good prices! 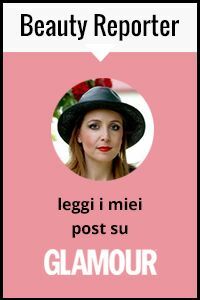 Un bellissimo giveaway Vale ed anche il sito mi piace. i think they have a lot of selection of to choose from . I love Stylish and Delicate Sweety Ruffles One-shouldered Chiffon Dress! I like dress of this web. Good prices! oh so great. thanks for sharing! I am a great fan of Sammydress products. Wish to win one for myself. I love the products of Sammy Dress, they were so chic and affordable. And their customer service/s representatives are very helpful. in love with sammydres, amazing dresses and very cheap!! Nice selection of clothes from SammyDress. The website is amazing, it has a huge variety of styles, so we can find clothes for all occasions! Ah this shop has such beautiful clothes, and at such good prices~! I love their website, I have bought clothes and accessories from them a couple of times and I love it! They have a wide selection of every types of clothing! I remember reading about it and said to buy in bulk, because of the shipping, but they have the cutest clothing and fabulous prices! They have wide and unique selection. I love a lot of what they offer. Nice giveaway Vale!! Good luck to the contestants! wow, i like their dress choices.. its elegant and sophisticated. They have soooo many dresses, I love how they have a lot of styles of dresses. bello mi piace tutto dallo shop!!! I love Sammydress. They have a lot of great products. I like that Live Chat is available on their website, helps shopping online so much easier and faster. Such a great shop! Beautiful items at good price...I love Sammydress. I have the Charming Polka Dot Scoop Neck Sleeveless Cotton Vintage Dress. Great material, soft, good made it, perfect for an elegant-casual look. Absolutely love their dresses! thanks for the contest! I love the Elegant Openwork Beam Waist Flounce Chiffon Dress !! great selection. I love the dresses. good quality and look so gorgeous. Love it!!! I love Sammydress, they have beautiful pieces and the prices are amazing. I absolutely LOVE Sammydress! Here's one of my favorite tops, Trendy Wide Stripes Batwing Sleeve Chiffon Blouse + Vest Twinset For Women !!! I just know about Sammydress and when i go to their website, i found many beautiful dress with affordable price! Fantastic! I love the Elegant Openwork Beam Waist Flounce Chiffon Dress For Women. So beautiful! I love SammyDress products and their prices. Nice giveaways, my favourite dress is number 5. They have wonderfull clothes and amaizing prizes! I love sammy Dress website because there, every woman can find what she needs to wear beautiful and chic outfits! I love their shop ! I have seen the Sammy dress website once and I'm impressed. I like the dresses and accessories. The price is just right and the site is easy to navigate. They are so beautiful! I love the blue dress, but it is hard to pick a favourite! Sammydress caters to different fashion styles for very low prices and it's surprising considering the designs of the shoes, bags, etc. Though I see top ads with european/caucasian models, I notice that there are many Asian models for women & men's clothing. Even with low prices, they strive to keep a daily deal section to encourage an inexpensive consumer-friendly clothing market. Love this claasy boho site's style and flair. Mi piace da impazzire l'ultimo vestito! So many entrants, I doubt I'll win! I love their men's section. So fab! Awesome giveaway! I love dress number 6. I checked out their website and even bookmarked it! Beautiful items! Great quality and low price! I absolutely LOVE their dresses!! I love Sammydress,they are amazing! They have beautiful clothes and the prices are great. I love that they offer trendy clothes at such affordable prices! I will definitely be shopping there. I really like the Blue Dress. (#2) It is so pretty! I love that they have really trendy styles that are affordable. I hate to spend a fortune for something that may be out of style next year. I love that they have a section for items that have free shipping. I really like their selection. I love the Fashionable and Elegant Style Scoop Neck Sleeveless Solid Color dress. I love the Cat Shapes Tissue Box! Mi piace troppo SammyDress.. I loro capi sono favolosi e i loro prezzi sono proprio super! !